If there's one thing you should know about me, it's that I have a massive sweet tooth. There's nothing that makes me happier than nestling down after a long day and tucking into a plateful of my favourite pud. And when I go out for something to eat, it's always the dessert menu I turn to first. If I spot a sensational sounding sweet I will plan my whole meal around it to make sure I have enough room to give it a try. As soon as I heard that Heavenly Desserts had opened a branch in Liverpool One, well - you can imagine how elated and intrigued I was. A whole restaurant dedicated to desserts? Oh be still my heart. With an invitation to come down to Heavenly Desserts to see what it was all about, on a cold afternoon in December Ryan, Baby Eric and I made our way into the city centre. Located next to the Hilton, the restaurant was easy to find, and in the perfect location for both hungry shoppers and sightseers visiting the city. Sitting opposite the Albert Dock the restaurant is perfectly located for looking out at the scenery and twinkling illuminations as you eat. 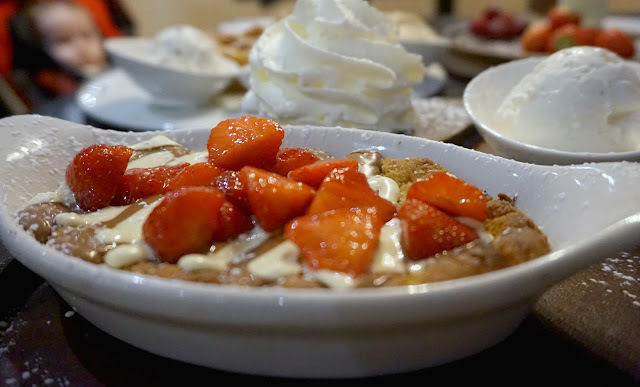 Now because I take forever to choose what I want to eat whenever we go out for food, I had tried to plan ahead and look up Heavenly Dessert's menu prior to our visit. 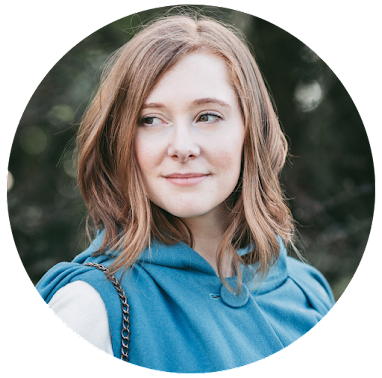 However, being unsuccessful, I had no idea just what to expect. But whatever notions were in my head, nothing prepared me for such a vast and varied selection. Perusing the menu, there was so much to choose between - from cheesecake to cookie dough to milkshakes and pancakes. Maybe this is why Heavenly Desserts choose to not disclose their menu - because as soon as you open it up and turn the pages, all you can think is 'wow'. 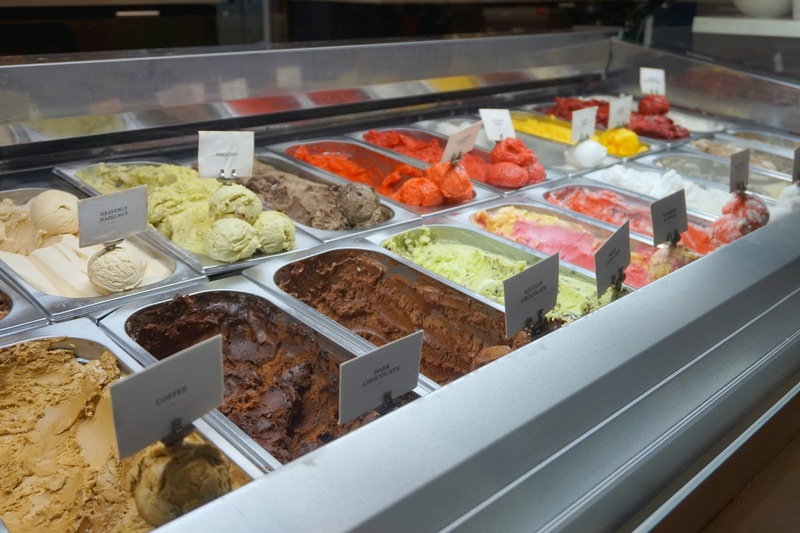 Heavenly Desserts have really covered all basis with the selection of sweet treats they have on offer so there really is something for everybody. And as well as having pre-designed dishes on the menu, there is also the option to create and build you own dessert, with a range of toppings and accompaniments to really make it your own. So if you really can't decide just what to go for, you can come up with your own creation, adding as much or as little as you like. 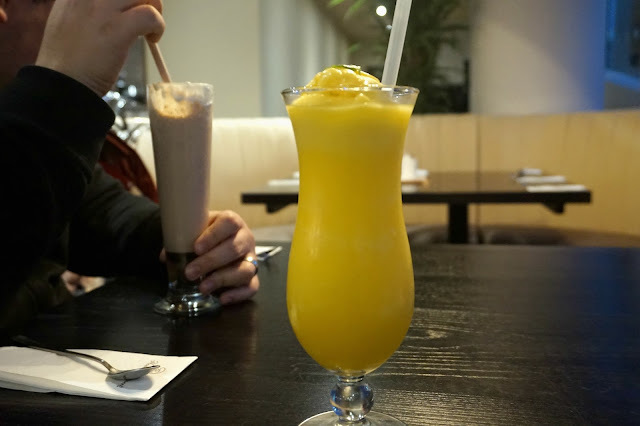 Because everything on the menu sounded delicious, Ryan and I decided to choose with the intention that we would share (I'm sure you can guess how well that went). My favourite was definitely the 'Heavenly Desserts Cookie Dough' - fresh, warm, and with a smooth texture that melted in your mouth it barely touched the side of the plate. Ryan was also really impressed with his choice of a waffle with a side of three scoops of gelato. 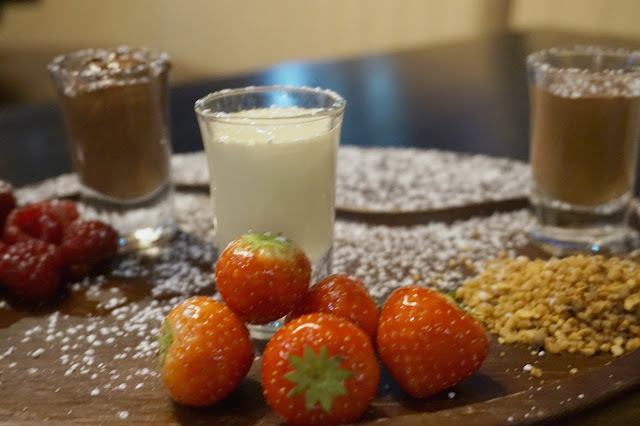 Our final choice - a trio of chocolate pots (white, milk and dark) with accompanying fruits and toppings for dipping - was a lovely complement to everything. 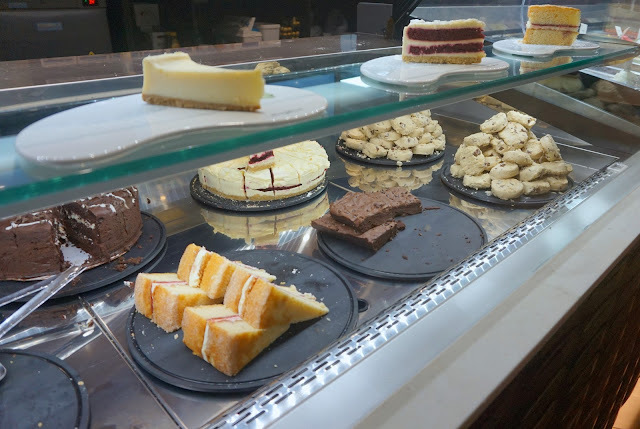 Open from 10am to 12.00am most days (1.30am on Friday and Saturday) you can nip into Heavenly Desserts for elevenses, for a mid-shopping snack at the weekends, an early evening treat or a midnight snack. And with so much variety on the menu and the option to tailor make your own desserts there will always be something new to try. Taste buds tingling yet? 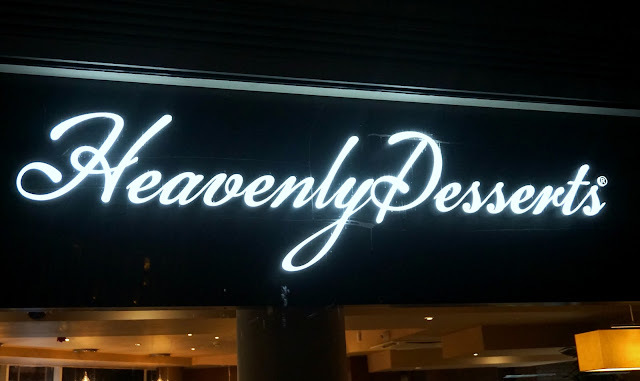 Why not head on down and give Heavenly Desserts a try? 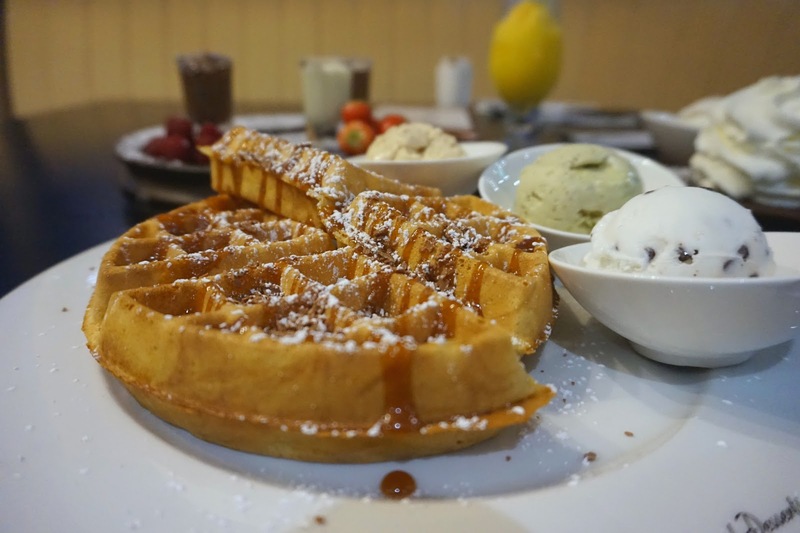 With a stylish interior, welcoming ambiance and extensive menu, the only downside you might have is the struggle to decide just which dessert to go for! * Heavenly Desserts very kindly invited us down and treated us to our meal. This does not affect my opinions. They are always 100% honest and influenced by my own personal experiences. For more details please see my disclaimer. This is making my sweet tooth tingle just looking at it! Everything looks so good! Everything we tried was so delicious. I'm itching to go back so I can try some more.